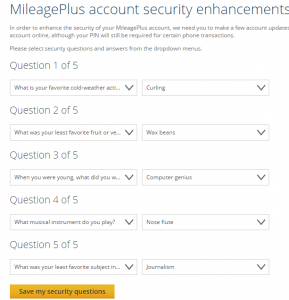 I’ve written about the stupidity of security questions in the past so United decided to do it up right… 5 questions… multiple choice… no free form. United you might want to think about finding a new security consultant. Apple iPhone 8 for $999… No way!